Viewed in this light, our attempts at crowdsourcing are really attempts to duplicate the effectiveness of evolutions blind watchmaker, and our ability to succeed with this new model of innovation has never been greater than it is today. The Internet has brought people together in ways that were not possible before; the amount of data that is available to those people has also increased to levels that were undreamed of even a decade ago. Successes in crowdsourcing to date have been largely restricted to solving mental problems, software or other things that do not require expensive equipment or lab space. Whirlpool famously transformed itself into one of the most innovative companies in America, in part through the use of crowdsourcing to solve problems and generate new ideas. In her now famous book about the transformation Dr. Nancy Tennant discusses how Whirlpool went from generating all of their new ideas internally, to over 30% from crowdsourcing during her tenure, with a stated goal of getting to more than 50%. Examples are now starting to pop up in the Life Sciences. Witness the success of the Foldit program / Game from the University of Washington in Seattle. Foldit challenged on line gamers to rearrange the amino acids in a particular protein (a Diels-Alderase enzyme, one of the work horses of modern synthetic chemistry) with two goals 1. Increase activity 2. Increase stability. The resultant sequence obtained through crowdsourcing was not just better but 13 times better than the starting sequence. 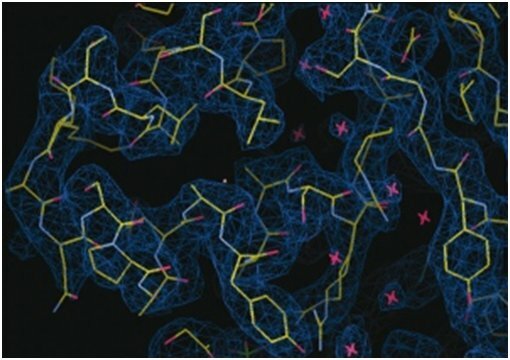 Not only that but it is not a solution that could have been arrived at by traditional techniques, the current state of the art in protein engineering ‘directed evolution’ tends to introduce point mutations; adding, removing, or changing a single amino acid in the sequence. 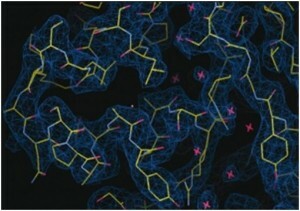 The new structure obtained through crowdsourcing included a 13 amino acid insertion, something beyond the scope of traditional techniques. More involved biological research has been waylaid by the difficulties involved in obtaining access to the tools and techniques of modern biology. Most people if so inclined can participate in a thought exercise, can help dream up a new product concept, or can play at manipulating a protein sequence on their computer. But if you need access to a DNA sequencer, or the ability to run a toxicology experiment, well that has historically been a bit more challenging. Enter Assay Depot, an innovative company on the forefront of a new model of decentralized science. Whether it is providing Citizen Scientists with access to the tools and services they need (everything from sequencing a gene, obtaining clinical samples, or even running a phase 3 trial), to providing big Pharma with a low cost, outsourced mechanism to get their own research done. For the first time in history, all of the resources required for serious biological research are available to anyone that wants them. In one location you can find all of the services you need to take an idea from inception all the way through the drug development process and into patients. It is this new model of research that will drive the next generation of discoveries across the entire life sciences industry, including drug discovery. Crowdsourcing and the rise of the citizen scientist represent true quantum leaps forward for research science. A move away from the current model that revolves around uniformity of thinking, institutional dependence, and centralization (the very antithesis of Surowieki’s four axioms) to a rapid, open model that unleashes the power of human intuition at unprecedented levels, borrowing from nature’s most enduring model for coming up with new ideas. Perhaps in conclusion, it is worth remembering that the idea of the “Citizen Scientist” is not a new one! Indeed until quite recently in our history of science, it was the modus operandi. So it was that the Modern Atomic Theory was developed by a Quaker School Teacher (John Dalton), the first dinosaur was discovered by a country Doctor (Gideon Mantel), and perhaps the single greatest contribution to science (the Theory of Relativity) came to us from an Austrian Patent Clerk.